As 2016 comes to a close it’s a great time to reflect on the highlights of the past year and look forward to the new experiences that come along with a new year. 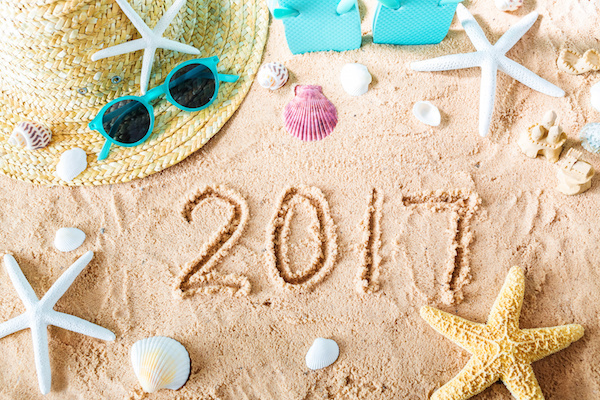 Your pool has likely been a part of many of the memories you’ve had over the past twelve months, so let’s take some time to look back on some of the best moments of 2016 and how you can look forward to another great year in Central Florida. Did your kids learn how to swim this year? Did you host the neighborhood BBQ? Maybe you gave your backyard the refresh you’ve been dreaming of. There are probably several great memories that you’ve been able to enjoy poolside this year. Be sure to print some pictures of your favorite swimming pool moments of 2016! Your pool is a great reason to bring people together. Whether it was old friends or new friends that got to enjoy your backyard paradise in 2016, let’s be thankful for the people we’ve been able to grow closer to throughout this past year and the time that was enjoyed together. It’s impossible to think about the new year without considering some of the changes you’d like to make. If you’re looking to improve your health in 2017, your pool is a great place to do so. Swimming is a great way to exercise without causing too much strain on your joints and muscles and it can be enjoyed by people of all ages! If you’ve been dreaming of renovating your backyard, make 2017 the year it happens. With new landscaping, features to your pool, and furniture updates, you can turn your backyard into the paradise you’ve dreamed of this year. Are you looking to make some changes to your pool in 2017? The team at Aqua Blue Pools can help make your resolutions a reality – simply give our team a call to get started. From all of us here at Aqua Blue, we wish you and your family a very Merry Christmas and a Happy New Year!